A short while ago I received a text from my husband. We'd had our delivery of malt loaf goodies from Soreen HQ for the purpose of helping them promote some of their new products. My mind flipped back to an email from their PR, Nicola, that said, "... and you'll get a ton of product samples." She wasn't kidding! So, I tipped it all out and created a few gift boxes for the neighbours (I bet I get a nomination for Neighbour Of The Year now, or at least the posh Christmas cards with the gold edging) and went up and down the street giving it out. I sent some round to my daughter's house and took some to work. My popularity count has never been so high. 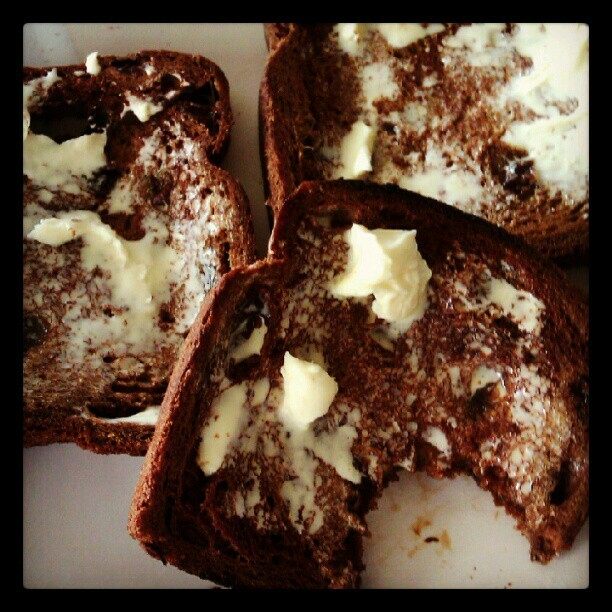 Everyone loved the retroness of it all and when I recommended toasting it, they all went wild! We've run a few taste tests and have declared the new banana mini-loaves the best thing ever invented in the 'healthy snack' world and the pre-sliced toastie loaf a little bit moreish (two slices isn't enough, four is probably too much but you can't get enough of the warm squidge if that's your thing). The individually wrapped lunchbox loaves (original recipe) are ideal to keep in your bag for a mid-morning/afternoon snack and they meet the Government's food based nutritional standards. What I'm going to do is host a Lunchbox Linky this Thursday. I want your fantastic ideas for lunch box fillers for the kids, for work, for picnics - anything at all. If you're short on inspiration you could take a look at the lunches that Pippa creates for her children. You can link up an old or new post and maybe I'll end up having a half term carpet picnic with the grandchildren. 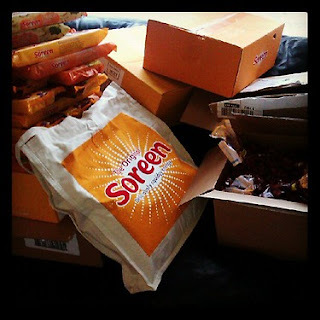 There will be Soreen vouchers for everyone who joins in and hopefully, I'll be able to arrange to send one lucky entrant a few extra Soreen goodies.